Cutie Robert Adamson (Demi's crush in Princess Protection Program!) 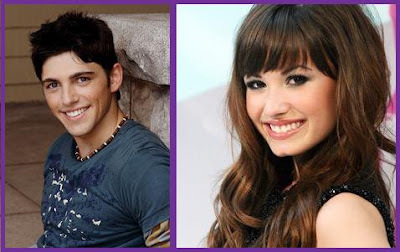 kissed and dished all the deets of his, um, awkward makeout with Demi Lovato when he guest-starred on Sonny With a Chance. "Kissing Demi was weird," Rob spills to M Magazine. "The directors couldn't make up their minds about what they wanted for Sonny's first kiss. We had to do it over and over. It was so awkward and torture trying to figure out how to get the kiss right."